Defensive coordinator Tom Bradley talks about coaching without Scott White and Demetrice Martin, facing Kansas State in the Cactus Bowl and the challenges KSU quarterback Skylar Thompson present. 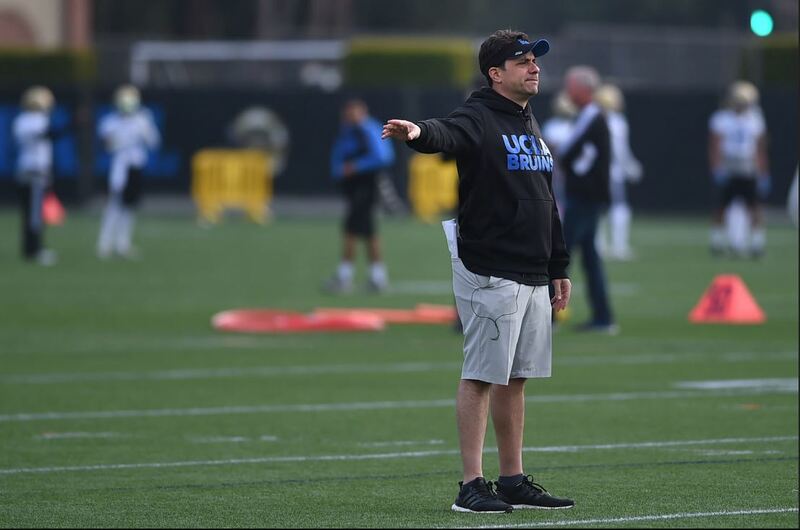 Defensive coordinator Tom Bradley talks about his defense’s performance in the red zone against Cal (only two touchdowns on seven red zone trips) and how a bowl game can help the UCLA defense progress. Defensive coordinator Tom Bradley talks about processing the coaching news, getting the team prepared on a short week and the last football game he ever played. Defensive coordinator Tom Bradley talks about UCLA’s early success against the run to only fall short in the fourth quarter and the team’s performance against Sam Darnold.